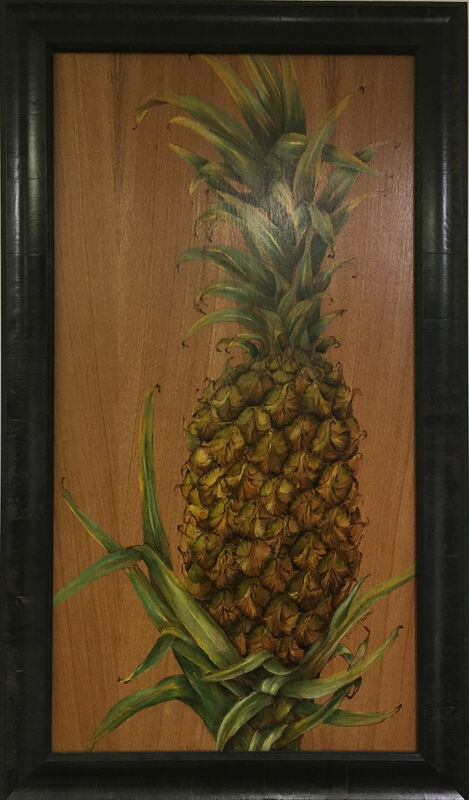 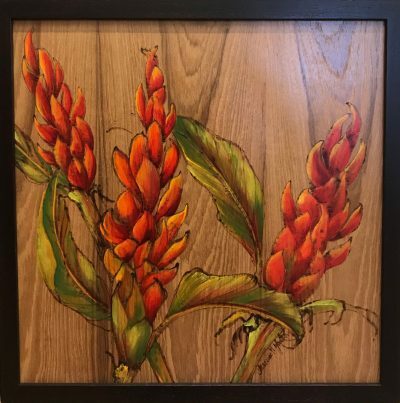 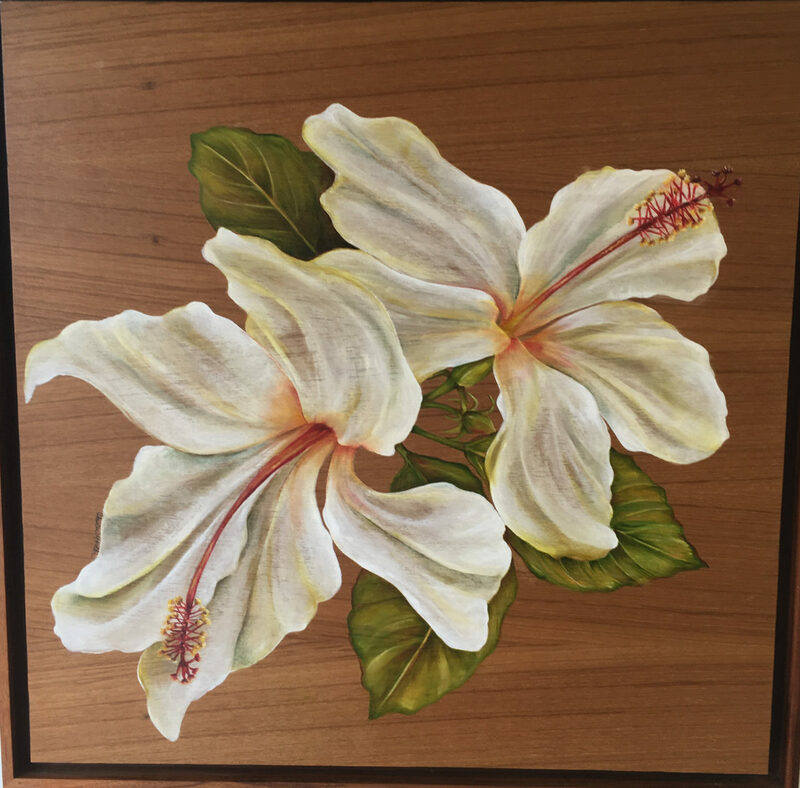 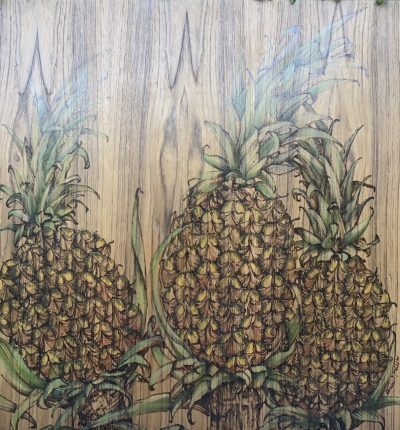 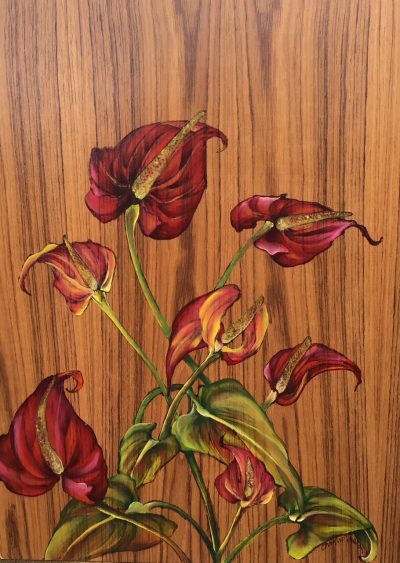 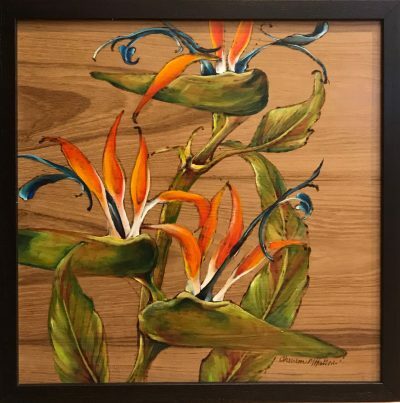 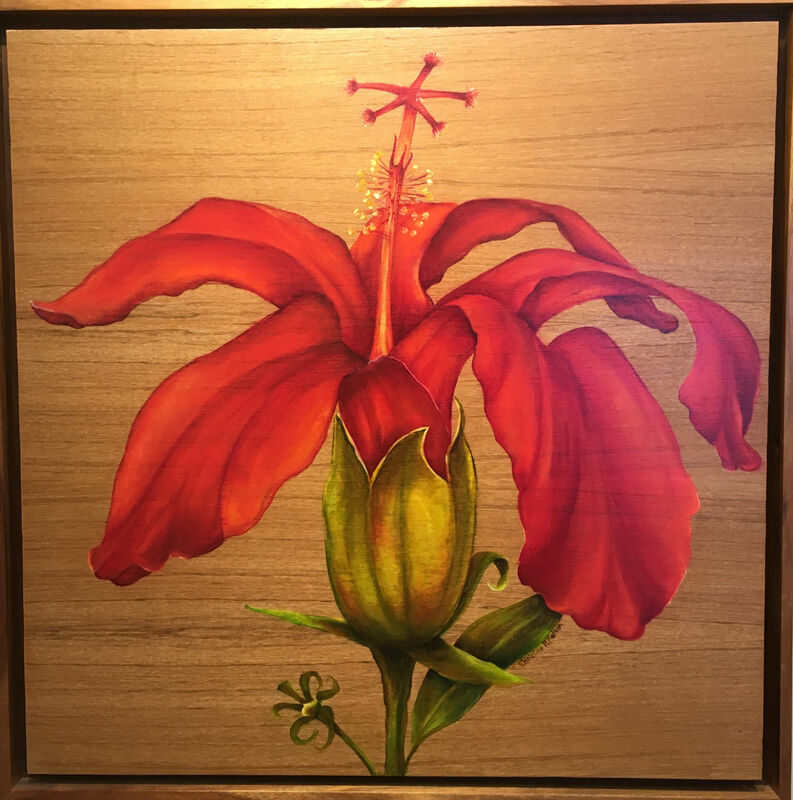 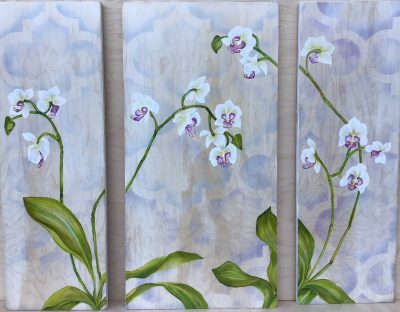 Christine Halton invites warmth and texture to her pieces through the careful selection of the grain and color of her wood panels. 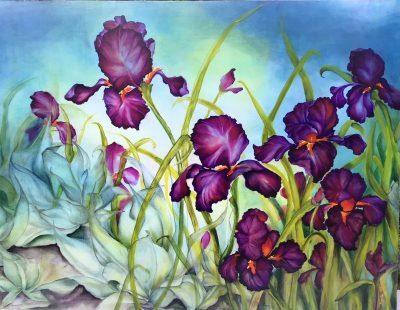 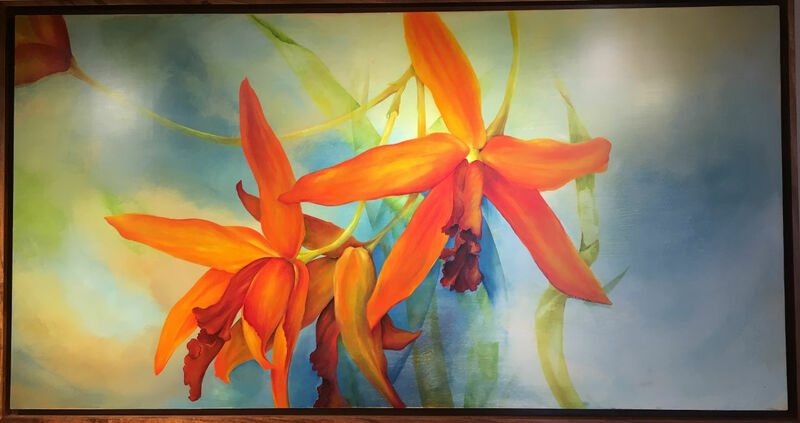 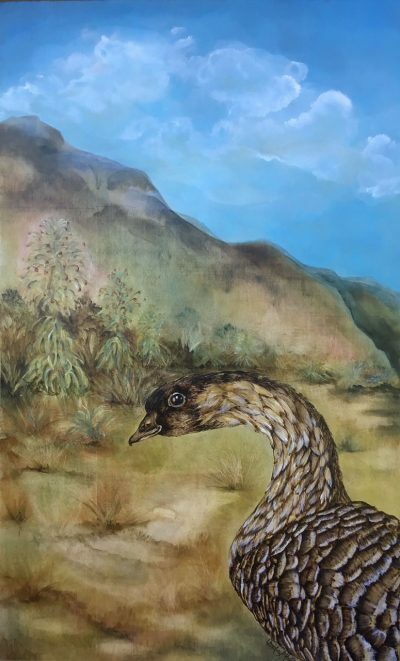 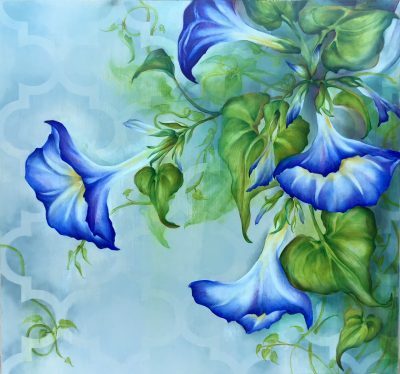 This pairing of nature and the depth of color in oil paints allows her to convey a beautiful balance of peace and vibrancy. 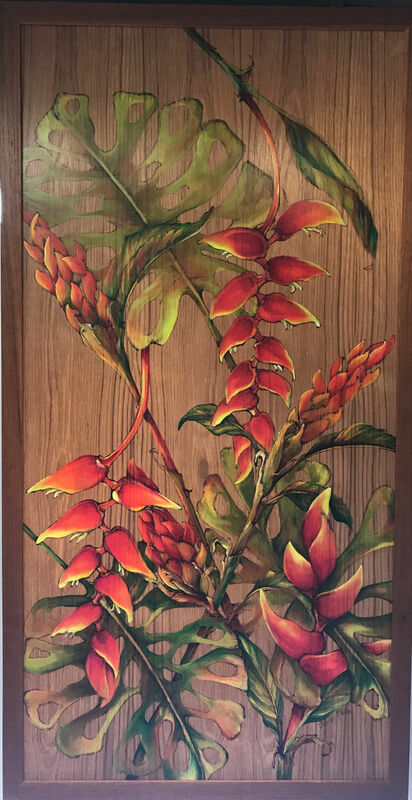 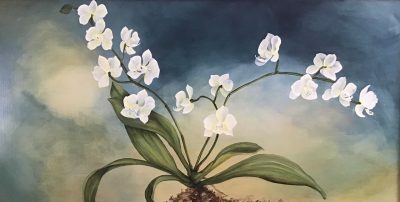 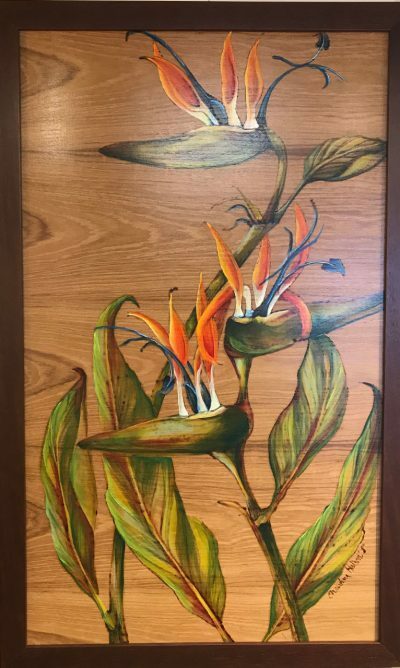 A life-long gardener, the artist has a constant supply of inspiration in her own back yard and is able to replicate the flora with accurate detail.